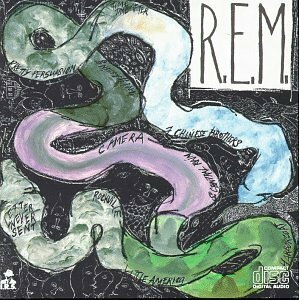 The Ringer gathered musicians to discuss every track on R.E.M. 's Reckoning album, which turns 35 this year. Rolling Stone recommended true crime books for music lovers. Georgia Anne Muldrow played a Tiny Desk Concert. LIfehacker interviewed cartoonist Lucy Knisely. Vol. 1 Brooklyn interviewed poet Dena Rash Guzman. Stream two new PJ Harvey songs. Mira Jacob discussed her graphic novel Good Talk with Shondaland. Stream a new Jeff Tweedy song. The Cut interviewed authors Robert Christgau and Carola Dibbell. The duo Trummors shared four cover songs at Aquarium Drunkard. NME listed ways Stephen King has influenced the music world. Stream a new song by King Gizzard & The Lizard Wizard. NYCTaper shared a recent live performance by Avey Tare. Stream a new Clinic song. Susan Orlean discussed her book, The Library Book, with Electric Literature. Paste profiled the band Duster. CrimeReads recommended true crime books written experimentally. Wicked Local Stoneham interviewed author and musician Ryan Walsh. Singer-songwriter/producer John Vanderslice shared productivity tips at The Talkhouse. Stream a new song by Sinkane. J Mascis covered Tom Petty's "Don’t Do Me Like That."